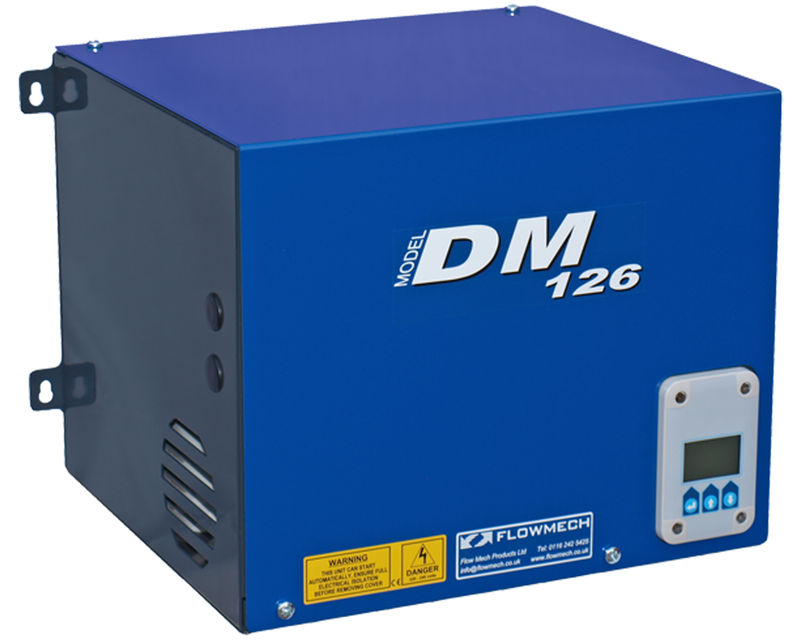 Flow Mech’s new digital compact wall mounted single pump pressurisation unit, cold fill pressure up to 2.6 Bar. Incorporating; Auto pump anti-seize pulse, full sized peripheral pump, WRAS approved mains connection & digital LED system information display. Simple programme navigation. Low water cut out, service reminder. VFC – high pressure, low pressure, pump failure, low water, flood alarm & excessive starts. All mechanical connections base mounted with optional left or right side electrical connections.